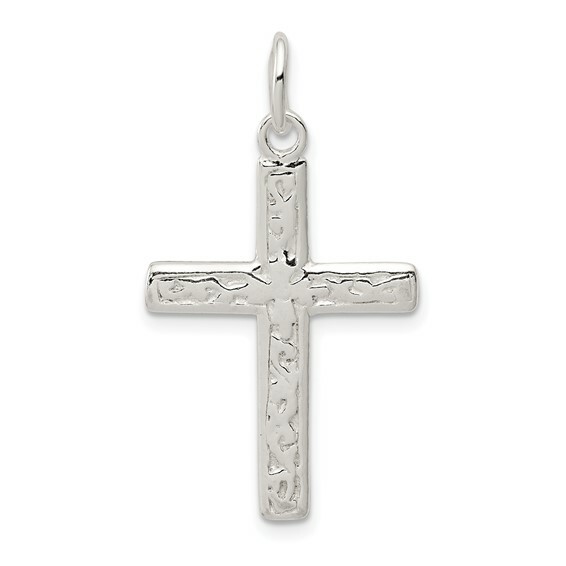 Sterling silver Latin cross pendant has a polished textured finish. Item size: 1 inch tall by 11/16 inch wide. This item is larger than a quarter. Flat back, chain not included. Weight: 1.5 grams. Import.